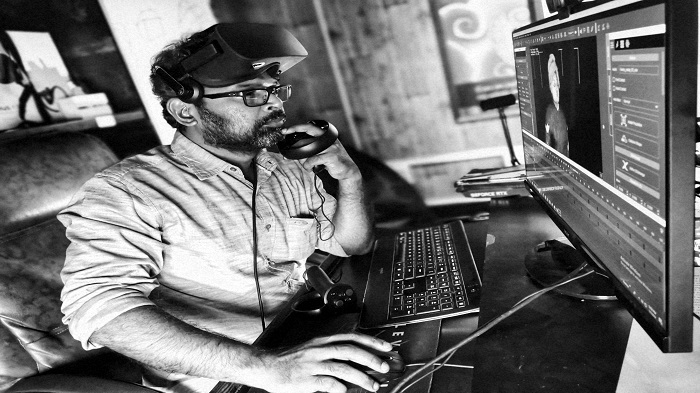 Guest Column| How immersive technologies (XR) will shape the Indian Industry in 2019? XR- The 4th wave: extended-reality (XR) has opened-up limitless possibilities and real benefits for both businesses and consumers since 2013. Immersive technologies such as virtual-reality (VR), augmented reality (AR) and mixed-reality (MR) are the three major variants of XR. Unique offerings from these three technologies pose evident potentials to become mainstream in the next three to five years. Let’s try to do a brief investigation on where is the treasure, how different industries are harnessing themselves to harvest the benefits of the disruptions and what are the promises these futuristic technologies to offer towards industrial digital transformation in 2019. According to Digi-Capital, investors see AR/VR as the fourth wave of technology, after computers, the internet and then mobile. 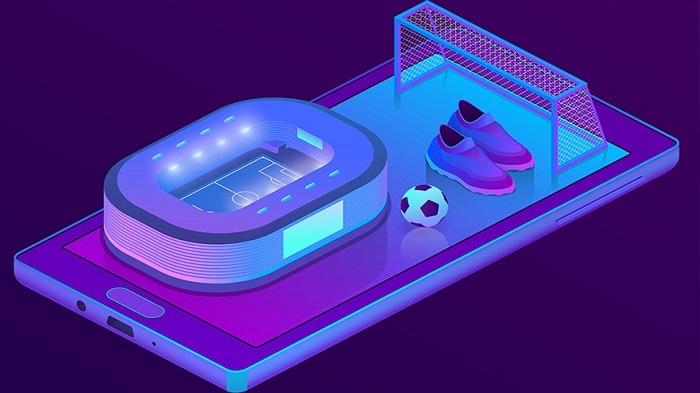 Adoption of XR in Gaming: Even though these technologies been around for the past five years and easily accessible for every industry, only the gaming industry has become the key adopter. This might be because the companies who developed initial XR applications were originally gaming companies. The learning curve was relatively easier for the game developers since they just needed to understand the XR concepts on top of their existing skill with the game development tools such as Unity-3D which they use on day-to-day basis. Causes for the Slowdown in XR-Gaming: Even XR-gaming didn’t grow as per initial predictions and hypes mainly because of two reasons. Firstly, the cost of hardware such as HMDs and VR-PCs were out-of-reach for most gamers followed by the nauseating amateur VR-Contents which made the users uncomfortable. So, the user base for XR-games didn’t grow as exponential as expected. Apparently, it became unfeasible for game development houses to create quality games with big budgets just to cater to the small pool of XR-gamers. Most of the VR games till today are regular games merely converted for head-mounted-displays byways of direct XR-SDK implementations. The core human-factors behind VR is being consistently ignored by the developers across the globe. To my knowledge, in India, no colleges teach the biology behind the immersive content development. Merely familiarizing the students with software/hardware tools and interfaces will never going be enough. The immersive content should be conceived and developed in an entirely a new way considering various psychological and physiological factors which will have a direct impact on the human brain. Gamification should only be an underlying concept behind XR-Contents and no XR experience should be developed entirely with a gaming approach. Adoption of XR in Industries: On the other side, considering XR as an entertainment tool, other industries didn’t pay much attention in the past years and missed out the potential benefits they might have enjoyed otherwise. 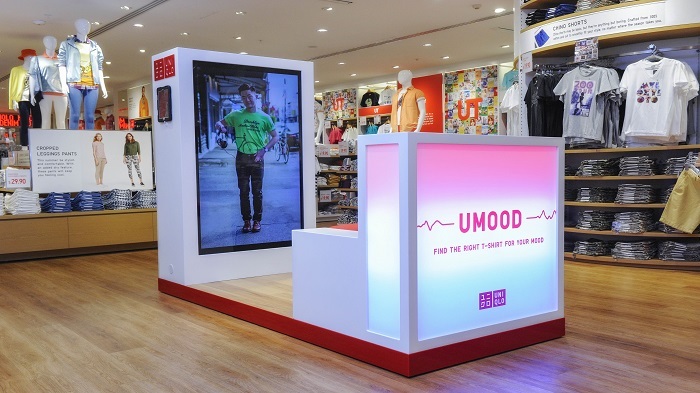 Apart from the lack of general awareness, the practical reasons for the slowdown of XR adoption in the industry (4.0) were data readiness, inability to identify the use cases and to understand the potential for the very quick return-on-investment. But, after seeing the real case-studies on proven benefits from the early XR-adopters (like Boeing, Airbus, Ford, Siemens, GE, Volkswagen, Shel and so on); now every industry on the earth start revisiting these technologies with a new perspective. Major adopters of XR as per current reports are from retail & advertising, manufacturing & logistics, engineering & oil and gas, automobile & aerospace, defence, education and healthcare. It’s evident since last year the change is happening in a rapid phase where these technologies are overcoming all the barriers of the past by offering their true potential benefits. While every other component of Industry 4.0 is trying to make the ‘Machines Smarter’, VR/AR has the only objective of making ‘The Human Workforce-Smarter’. 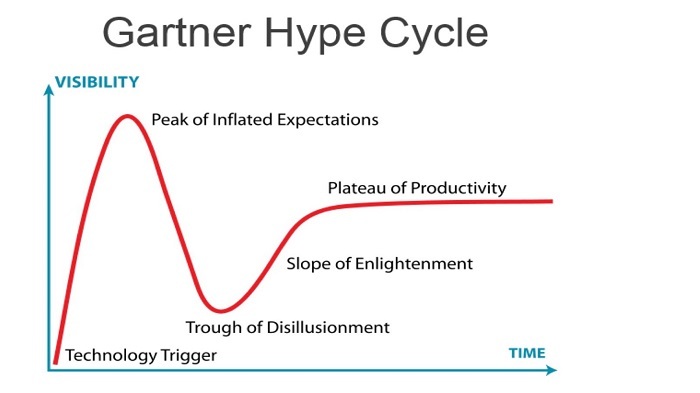 The Hypes Vs Realities: In 2017 Gartner’s Hype-cycle for Emerging technologies placed VR in the slope of enlightenment predicting to reach the Plateau of Productivity (Mass adoption) in the next two to five years and AR got its place in the trough of disillusionment with the prediction for mass adoption in the next five to 10 years. But, in 2018 Hype-Cycle, surprisingly VR was missing but MR (mixed reality) appeared as a new-comer in the trough of disillusionment along with AR. Later it has been clarified that considering VR as a matured technology it has been removed from the Hype-Cycle which only deals with Emerging techs. In my opinion, at least for the Indian scenario, considering the real-reality, VR is still undeniably in its infant stage only. Also, as per World Economic Forum’s Network-Readiness-Index-2016, India is in 91st position and Singapore being first in the list. 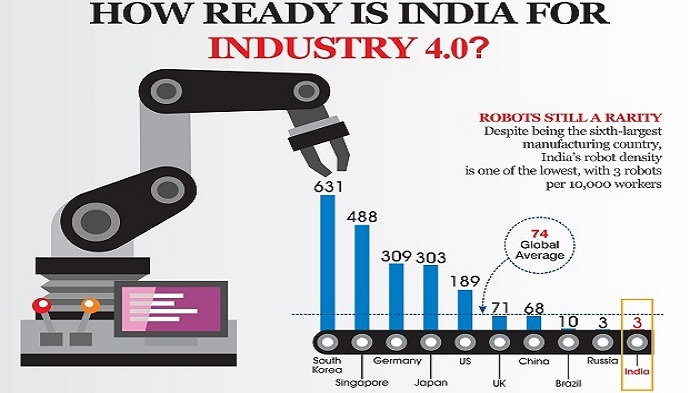 Latest data reveals that India is way behind the developed nations and its neighbour in terms of readiness towards industry 4.0. XR in Indian Scenario: The reasons behind India’s lagging in the race are such as lack of supportive infrastructure, difficulties in accessing the latest hardware and the conventional/cultural Indian mindset. We have always been taught to learn the inventions of the westerns from an end-user perspective but never encouraged to do research & inventions. But, things are changing now…It’s inspiring to see the number of new startups in the recent year mostly by youngsters with the great thrust for the invention. I personally realized the happening change during the recent United India-2018, Hyderabad event where I was excited to see so many start-ups by young boys & girls with great ideas in the XR space. 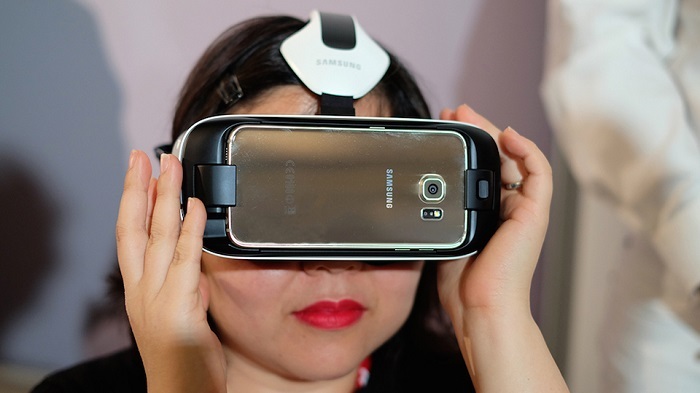 With the expected release of more affordable Mobile VR, standalone 6DOF VR/AR headsets/Glasses with more FOV and resolution, we can expect a considerable change in the scenario in 2019. The International Data Corporation (IDC) anticipates that spending on AR/VR products and services might rise from $11.4 billion in 2017 to approximately $215 billion by 2021. XR being one among the nine pillars of industry 4.0 model, many industries are now desperate to implement a full AR/VR strategy to ensure that they are not left behind. Gartner has predicted that by 2020, AR, VR, and mixed reality based immersive solutions will constitute at least 20 per cent of the digital transformation strategy of enterprises. A recent Gartner survey showed that out of the organisations that are currently using or piloting AR, 40 per cent found the technology to exceed expectations. The serious focus and heavy investments by tech giants like Apple, Google, Microsoft, Intel, Samsung, Facebook and IBM on AR, VR and MR make evident the future of XR. The recent Make in India initiatives and schemes by the Indian govt is opening new opportunities for wider adoption of ‘Industry 4.0’. Companies like Boeing, Bosch & GE are already making huge investments for Industry 4.0 implementations in India. The concept of VR/AR in ‘Industry 4.0’ is soon going to change the way Indian Industries going to design, manufacture, market, service their customers & train their employees. Conclusion: The market for these Immersive technologies expected to explode exponentially at a remarkable rate and soon the mainstream adoption of these immersive technologies will become unavoidable. Despite all these slow growths in the past, it is quite likely that India is currently catching up with the fourth technological wave; banking on India’s strength in Information Technology and the large workforce of creative professionals, XR will become key contributor for the nation’s economy and will become a power-house for the Asian market in the next five to 10 years.